It's often in the details. If you're cycling down the street in the background (which is my back street) you're going to do one of two things when you get to the end. If you're turning right, it's easy. You turn onto the cycle track and continue on. 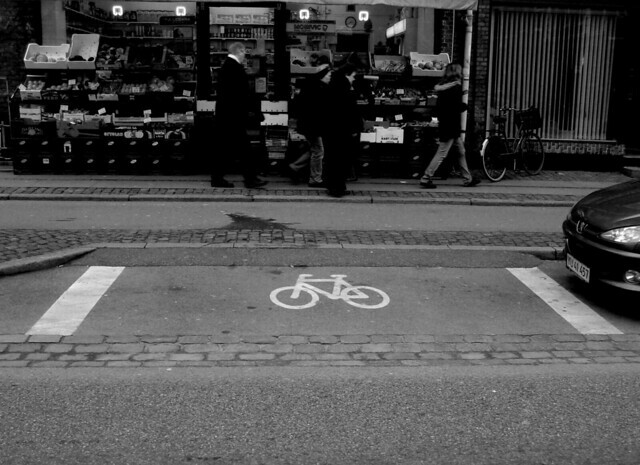 If, however, you want to turn left you have to get across the street to the cycle track in the foreground. 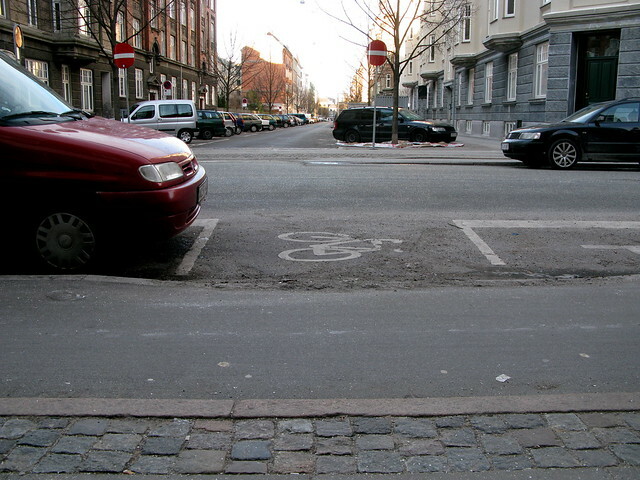 The City of Frederiksberg made it easier for by claiming half a car parking spot for the purpose of creating a passageway between the parked cars. A few painted lines and a pictogram. Here's another example just around the corner.